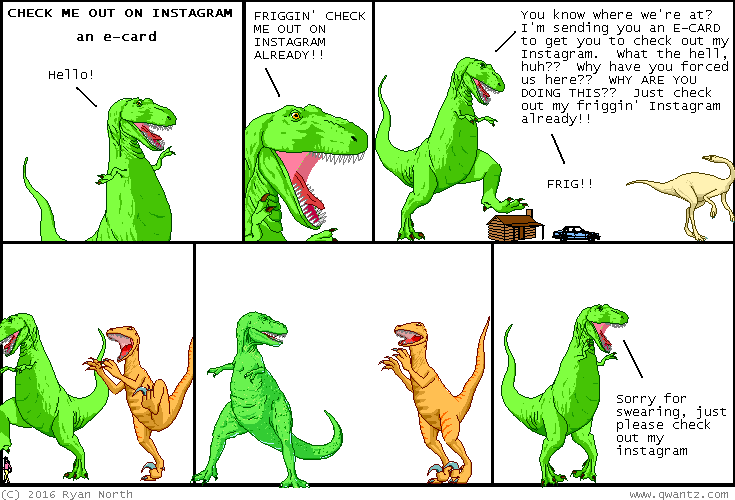 Dinosaur Comics - April 22nd, 2016 - awesome fun times! –And if you do it in a room with no beds, that's a floorgy! April 22nd, 2016: This comic goes out to all my friends that want me to check them out on Instagram. This comic is literally for you!